Aveo Durack is truly a community for life, offering every level of lifestyle and care within the one location. The new luxurious aged care community provides a new standard in high care, with modern and comfortable accommodation, excellent care and support services, and highly nutritious, freshly prepared meals. This tranquil community is located just 17kms from Brisbane’s CBD and is set within 34 hectares of natural bushland and lush gardens. 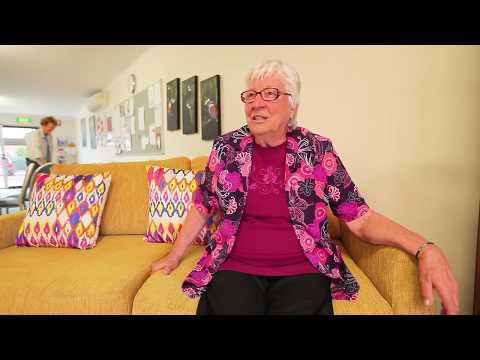 We believe an Aged Care community should be more than just bricks and mortar. It should have a welcoming, vibrant atmosphere where nothing has been overlooked, ensuring residents receive the best quality care and feel safe in an environment that feels like home. Registered nurse onsite 24/7 - For peace of mind there is a registered nurse onsite 24/7, giving residents a friendly face that’s dedicated to their care and wellbeing. If your needs deteriorate there is also a dedicated Dementia wing with Dementia Care. Other services that are included include personal laundry services, room cleaning and linen services. Daily meals - Freshly prepared, daily nutritious meals specially designed with the needs of seniors in mind. Aveo support socialisation with providing the option to have meals in the dining room or meals can be delivered to resident’s home. Social and personal spaces - The Aveo Durack community offers all that you could need in an Aged Care community including reflection room for all religious practices and pastoral care services, established community gardens with raised garden beds so residents can easily enjoy gardening. There are also a range of social activities for residents to enjoy as much or as little as they like. Health and wellness services - Residents of the Aveo Durack community have the ability to access a range of services including the hairdressing and beauty salon, health and wellness centre, GP clinic, pharmacy, allied health and other visiting health professionals. Respite care - Aveo Durack offers respite care for short term care needs in a comfortable and relaxed environment. We also know that no two people have the same reasons for requiring respite care, which is why we are flexible with our care and support options, tailoring them to individual needs. Pets are welcome* - When you move into Aveo Durack your pet is more than welcome to come visit.